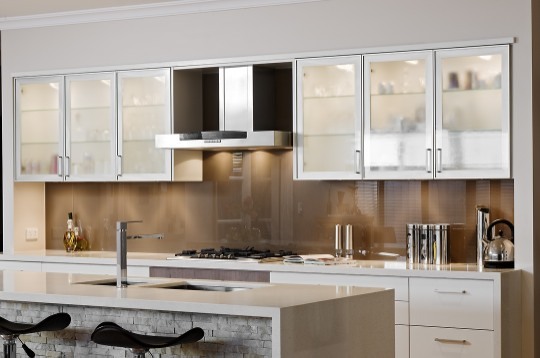 Glass is the perfect compliment to your new kitchen renovation. Coupled with wood, stone benchtops and lighting your kitchen will be a central hearth to your home. Ask us about our coloured glass splash back options. Consider why you want to renovate your kitchen. Your answer/s will help determine the outcomes you want to achieve and the budget required. perhaps there is potential for you to increase the value of your home, investing for the future? Take some time to consider your motivations, consider the current and future needs of your family, then think about what already works well in your existing kitchen, what doesn’t, and what is missing. The answers to these questions will be very useful during the planning and design process and ultimately help you get the desired result while avoiding some common pitfalls and mistakes. Establishing a realistic budget for what you want to achieve is an important consideration early in the planning stage. Often a renovation will cost more than most people expect and compromises may need to be made along the way. However, an experienced professional will help you plan carefully to achieve the desired result within your budget. you intend to use the kitchen are the major factors to be considered when deciding on the new design, layout and appliance selection. Often homeowners and renovators are pleasantly surprised by the design ideas, expert tips and added functionality that can be achieved in their new kitchen when working with an experienced kitchen designer or cabinetmaker. 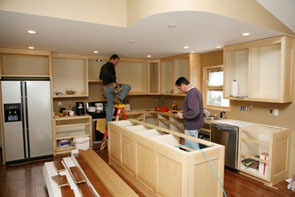 kitchen designer or cabinetmaker. It is also worthwhile to visit a number of kitchen showrooms and appliance suppliers in your area to get some ideas. The choices you make should be influenced by your current needs and wants while also considering what might be required in the future. Check out the design ideas gallery on this website and visit our showroom for tips from the experts.